After the very soggy April and early May, all this recent lovely weather has really brought on all the growth of the plants. 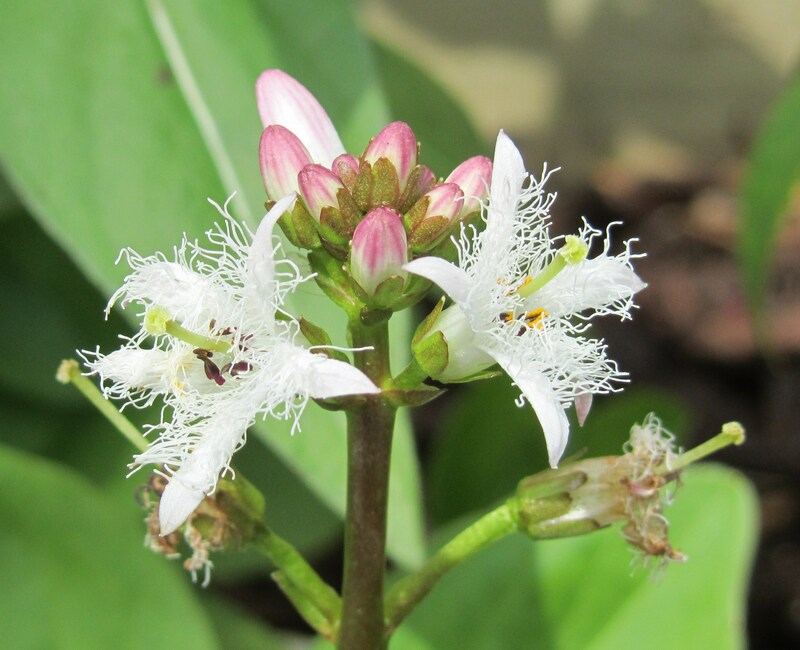 Here is the bogbean (Menyanthes trifoliata) flowering merrily away. Slightly unappetising name but beautiful flowers! Bogbean has bitter and diuretic actions and can help with dyspepsia, arthritis and skin problems but shouldn’t be taken if there’s diarrhoea or colitis.